Residence magazine features Aurora™ (Margot and Josephine) in their January/February “Splendid Bathrooms” feature. 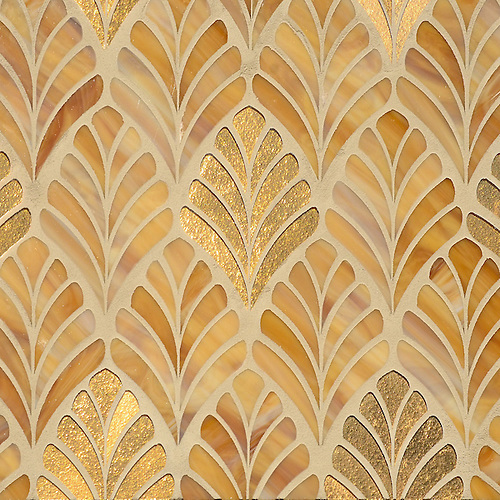 Margot, a waterjet mosaic shown in Tiger’s Eye Jewel Glass and 24K Gold Glass, is part of the Aurora™ Collection by Sara Baldwin Designs for New Ravenna. 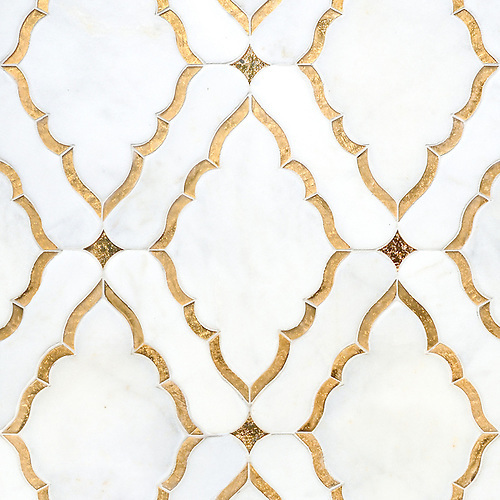 Josephine, a water jet mosaic shown in Venetian honed Afyon White and both honed and polished 24K Gold Glass, is part of the Aurora™ Collection by Sara Baldwin for New Ravenna.